Blog – Page 12 – O.V.A.S. The Ovarian Psyco Krew will be tabling this Monday 7/4/11 @ Self Help Graphics for the 14th annual Farce of July event. 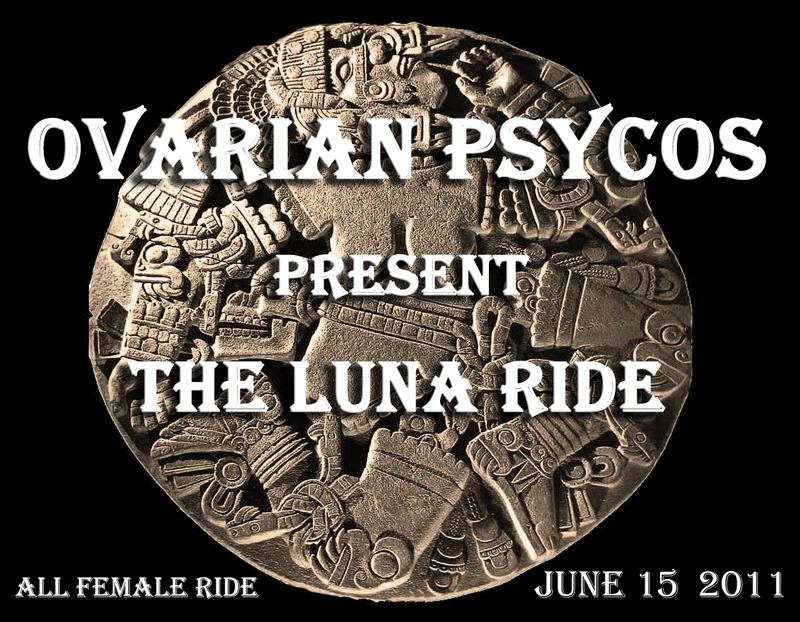 Our own Psyco Sisters will be there workin hard. Cihuatl Ce on the mike, Eyerie as MC, and live screen printing by Andi. Come on down and have a great night! Don’t forget to stop by and say hello!! There’s nothing we’d love more than to meet you guys! In case you haven’t come across it, the Ovarian Psycos were named Best Spokewomen in LA Weeklys ‘Best of 2010’ Issue. “We didn’t take off until 3pm but we were approximately 20 strong. It was really dope cuz no rider was left behind. One rider got a flat and a Bici Digna dude stayed behind to help her. As we waited, we received lots of support from the drivers who drove by us. Once the missing riders were in sight, everybody cheered! YAY!!!! It was a happy moment! Mayra’s pick for this street was excellent! She wanted to demonstrate more of the community instead of simply ugly factories. Riding down Central felt really awesome because there were lots of people out and the Ovas got lots of exposure. There were even little kids around who were excited to see several cyclists. We’re role models! So we rode on through to 41st to South Central Farms. There was cheering as we arrived (not sure if it was us or the people already there). Nevertheless, we definitely felt welcomed and the love! We parked our bikes along the fence and enjoyed in the festivities. The Ovas enjoyed mangonadas and the delicious food that ‘Food Not Bombs’ made for everybody. 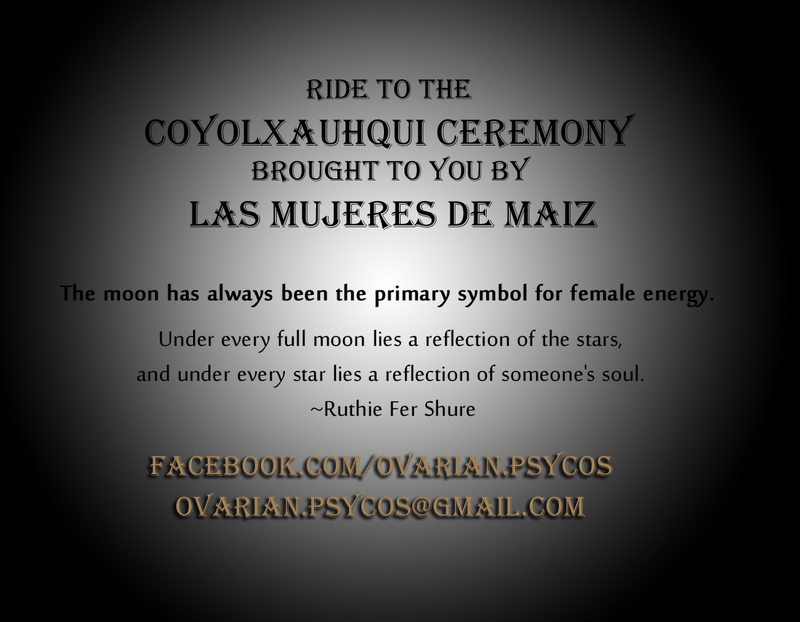 We will be riding to the Coyolxauhqui Ceremony brought to you by Las Mujeres de Maiz. 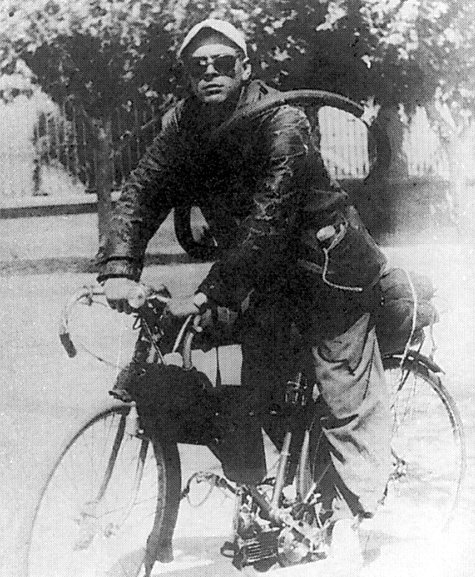 Ride on Che. Ride on. 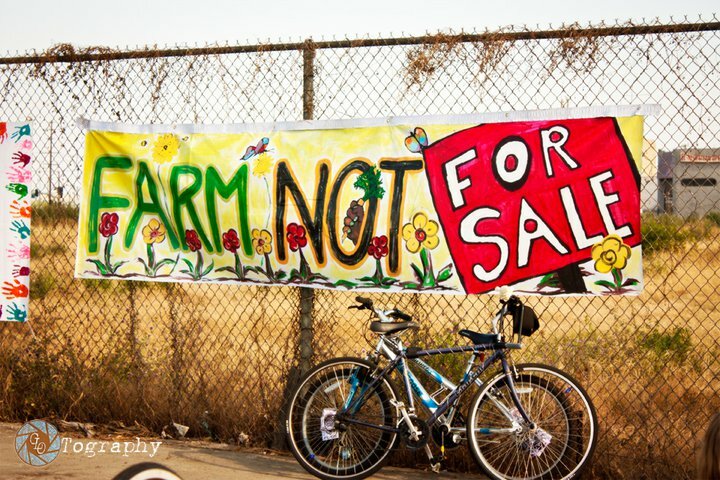 Take Back the Farm Ride! 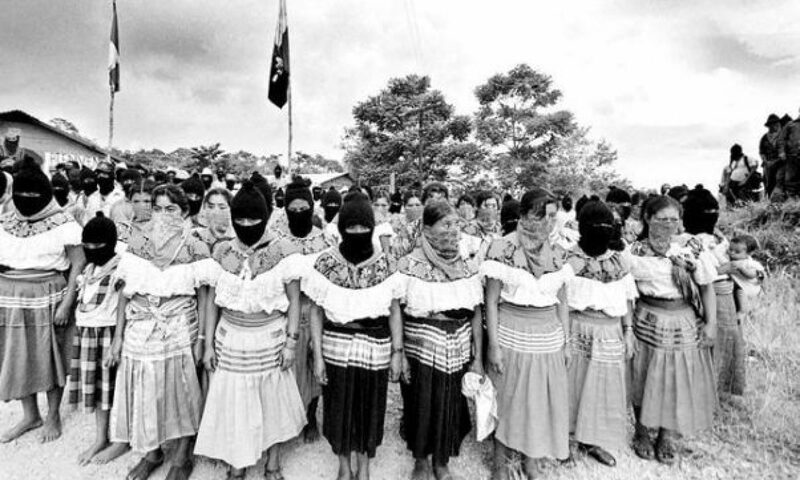 *Bici Digna will be hosting a workshop at Corazon Del Pueblo at 12 PM. 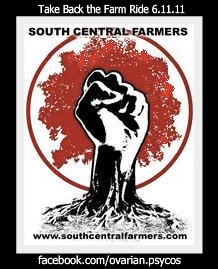 Afterwards you are all invited to ride with us down to the South Central Farm. 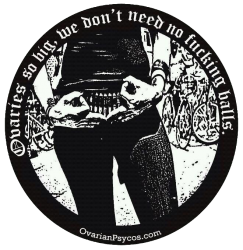 Welcome to the new Ovarian Psycos website! We’re excited to finally get this beast up and running. Currently we are still under construction so keep checkin back for posts, updates, ride schedules, and a ton of other good stuff!